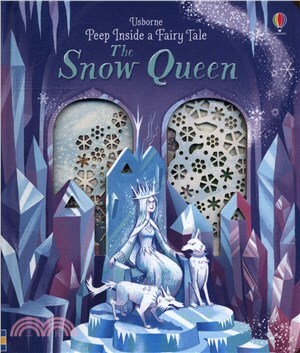 Bring the magical story of the Snow Queen to life with this stunning peep inside book. Can Gerda save her best friend from the icy clutches of the Snow Queen? Scenes include flowery gardens, spooky forests the Snow Queen’s icy palace, with delicate cutaways and holes to peep through creating a magical filigree effect.